Military slant brake top, BFA bottom. BFA is nearly unnoticeable. 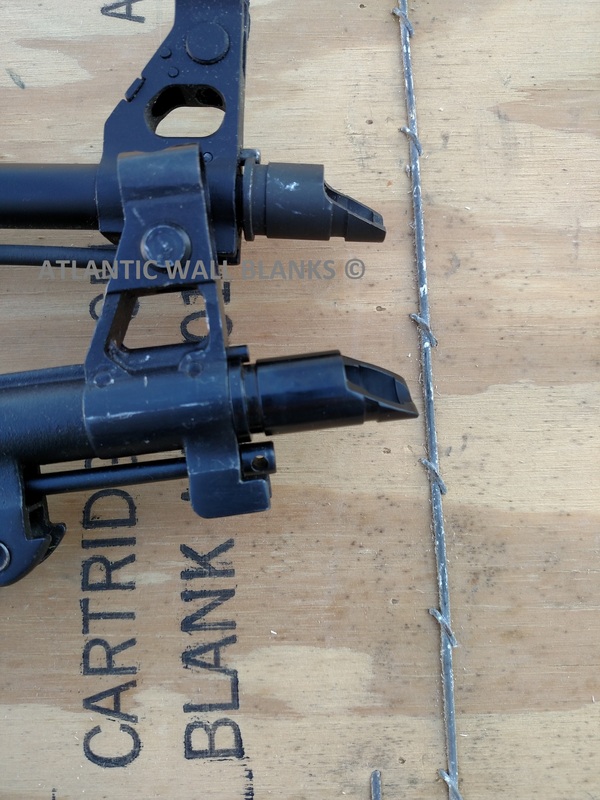 Copied from a Norinco Type 56 AK-47 specifically for use for film work, we have created one of the best adjustable AK-47 BFA's on the market. Made from 4140 hardened steel, these are only 1/8 inch longer than the original brake and are unnoticeable from even a few feet away. 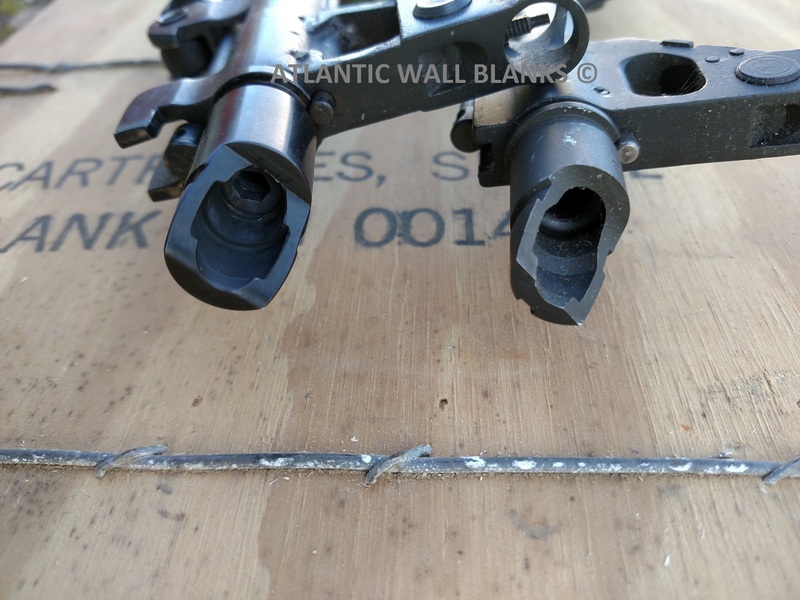 BFA set come with 4 set screws from .173 - .209 for the hottest 7.62x39 blanks. ALL ITEMS WITH FREE SHIPPING WILL SHIP USPS AND WILL NOT GENERATE AN AUTOMATIC TRACKING NUMBER. WE CAN PROVIDE THE TRACKING NUMBER UPON REQUEST.